As the name indicates, tree houses in Kerala are constructed on tree top. These tree top houses make an interesting stay in Kerala. 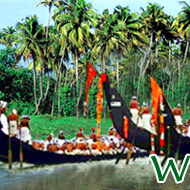 Kerala, God's own country, is a mesmerizing and beautiful land; so picturesque, so adventurous, and so hospitable. 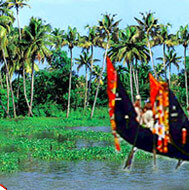 Once in Kerala, you'll find yourself completely engulfed in the laps of awe-inspiring nature. Vacations and holidays in Kerala are full of excitement and adventure and are not only limited to just natural beauty and cultural heritage of Kerala; they also extend to the place where you stay. 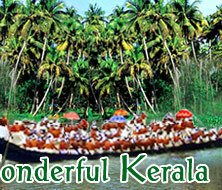 If you are an adventurous traveler, Kerala is just the right holiday spot for you. Tree houses, constructed on top of the trees at an elevation of 20-90 feet using wooden materials and packed with all the basic facilities you get at your own house, are an exciting feature of vacations in Kerala. First built by the forest tribes, who used them to protect themselves from attacks of wild animals, the tree houses of today are more in sync with eco lodges and ethnic houses that provide all basic residential facilities. These tree houses are constructed from eco-friendly materials. Local craftsmen, using local materials and indigenous techniques used by the early inhabitants, design the tree houses. Interestingly, expertise of local tribes is always taken into account while constructing and maintaining these houses. The tree houses have modern facilities like attached bathrooms, telephone, shower, wash basin with running water, carpeted veranda, sit-out, etc. and are powered by a unique combination of solar power, biogas made from cow dung, and hurricane lamps with kerosene. Generally, a hanging bridge or a cane lift provides the access to these tree houses. Some of these tree houses can go as high as 100 feet, providing a great view of scenic beauty loaded by thick lush forests and flora and fauna all around. Vythiri, known for its evergreen rain forests, coffee, tea, cardamom and pepper plantations, is one of the well-known places offering tree houses.